The initial design emerged in 1966. The demountable stacking bed is extremely space saving because various elements can be easily stacked. This couch incarnates Rolf Heide’s design credo in the best way: simple material is unified in an astonishingly logical way, and keeps its typical quality because of a genius idea: in this case by bold lateral roundings. 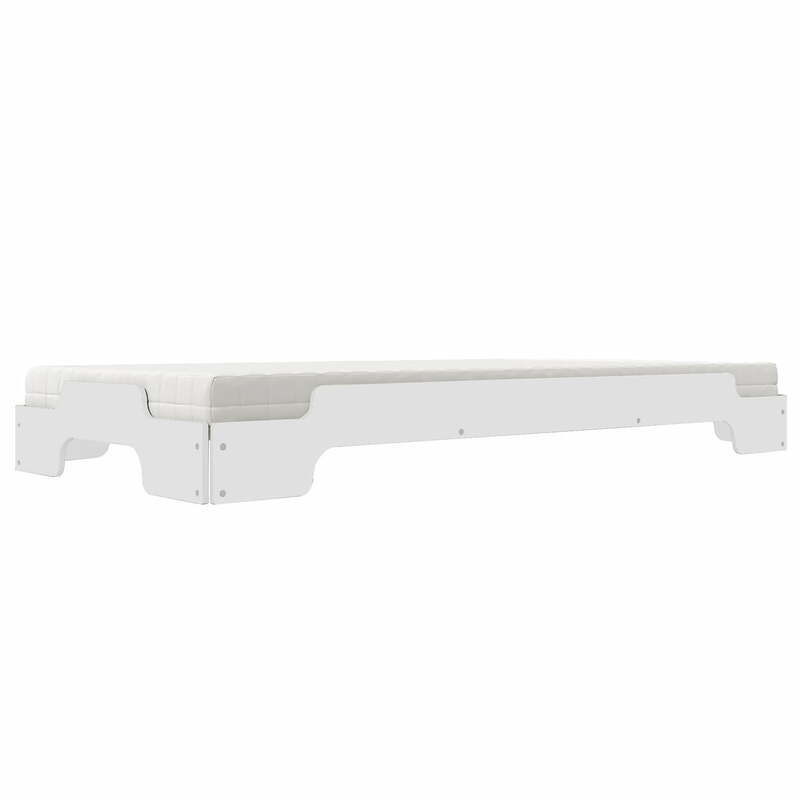 The stacking bed perfectly suits small apartments, single accommodations, or guest rooms, as two stacked couches are highly space saving and side by side they become a double bed in only an instant. The environmentally-friendly layer wood, which the Stacking Bed from Müller Möbelwerkstätten is made of, is superior than solid wood in its strength which makes this piece of furniture especially stable and long-lasting. The lacquered layer wood models that are available here fit wonderfully in every interior, thanks to the wide colour assortment. Suiting the timeless design of Rolf Heide, there is a considerable assortment of accessories for the Pile Couch, including slatted frames, bed storage boxes, aluminium buffer storage, mattresses, or bolsters. The Stacking Bed can be delivered in a comfort height (single 4cm, stacked 8cm higher) and in special dimensions (width: 80/ 120 /140cm; length: 210 /220 cm). The difference in height is an advantage, if, for example more room for the mattress is needed. 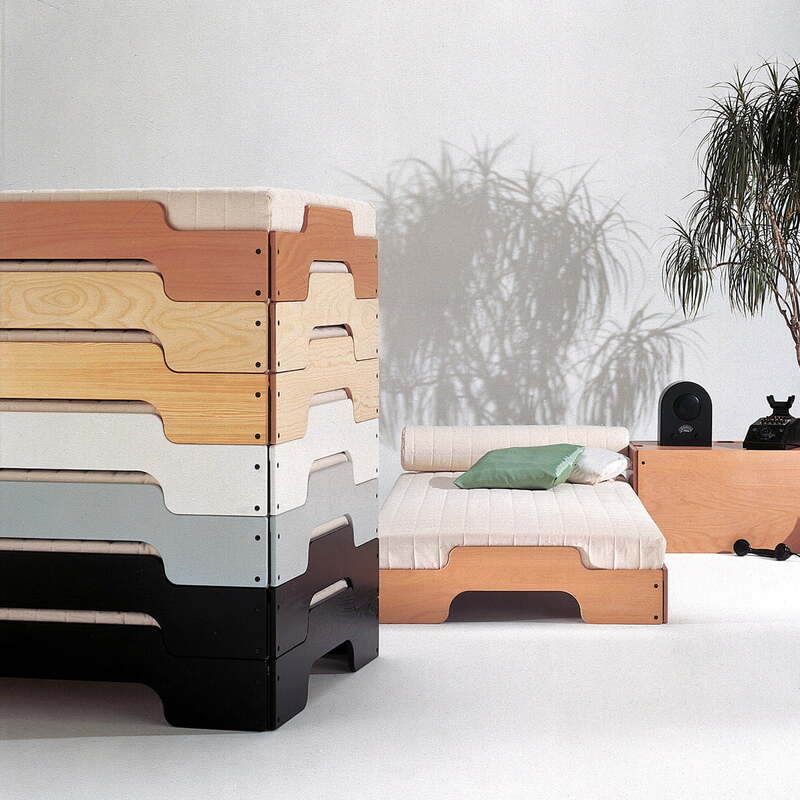 In addition, the stacking bed is available in other colours. We are happy to assist you!